How much of the stuff for which we should find mountains of money (with significant environmental impacts too) to build or upgrade wireless networks is useless to begin with, or in some cases even dangerous, especially if used as advertised? How much of the IoT being marketed these days has no real need to exist, no concrete positive impacts on real quality of life? Below please find some suggested reading, from me and others, to see what I mean. 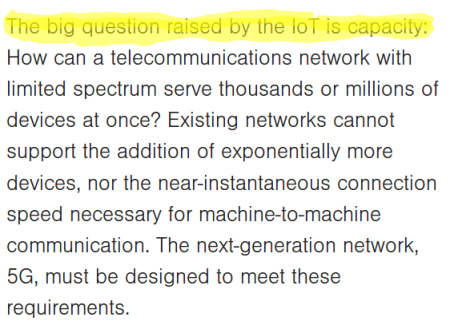 Think to that, before designing “next generation networks”, please. Internet accessible vibrators? Of course, what could possibly go wrong? privacy and data abuse? Who’s right, UK or Denmark?